Return to an apocalyptic Earth in Darksiders 3, a hack-n-slash Action Adventure where players assume the role of FURY in her quest to hunt down and dispose of the Seven Deadly Sins. The most unpredictable and enigmatic of the Four Horsemen, FURY must succeed where many have failed - to bring balance to the forces that now ravage Earth. 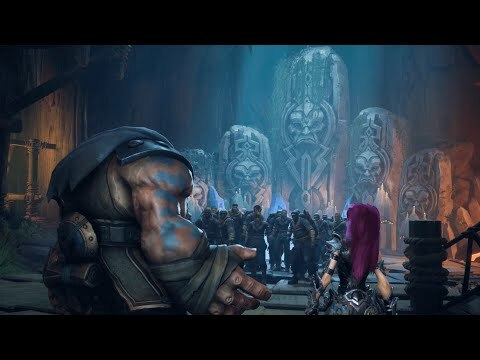 Darksiders 3 is the long-anticipated, third chapter in the critically-acclaimed Darksiders franchise. Darksiders 3 was released on PS4 145d ago in the US and the UK. Based on 1 Darksiders 3 PS4 reviews, Darksiders 3 gets an average PS4 review score of 70. The score for all versions is 70 based on a total of 3 reviews.